They are also wise in their choice of issues they do not whitewash. For instance, they make no bones about Dutt’s substance abuse, his sexual promiscuity, his unprofessionalism, his irresponsible behaviour towards his parents and colleagues, and his lies in these matters. But all this is portrayed in a cutesified, comedified fashion to a fandom that has already forgiven him for these widely known facts anyway, each one carefully presented in such a manner as to elicit an “aww, cho chweet" reaction from us. The object of the film is two-fold: to project Dutt as a misguided but well-intentioned man and all-round nice guy, and to scapegoat others for his failings. So yes, he was not committed to his work, but c’mon, what is bechara Baba to do when he is under so much strain to match his father’s greatness? So yes, he took drugs and alcohol, and no Ma’am, that was not okay, but c’mon, can you really blame Baba when his work stresses and personal traumas were compounded by that evil drug dealer who tricked him into addiction? Yes, he bought firearms, but did we not tell you it was because of his desire to protect his father and sisters, as any good Indian mard should? And yes of course he slept with hundreds of women and treated them lightly, but that is sho funny and sho cute, na? 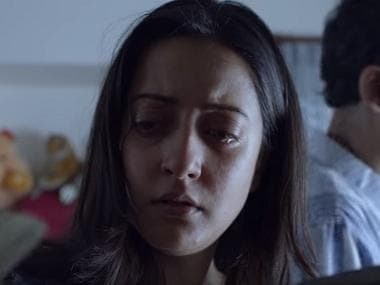 The most well-strategised choice of scapegoat is the media, which is skewered in the closing song featuring Ranbir Kapoor and the real Sanjay Dutt himself. For everything wrong that Baba has done, the buck stops at the door of the lying press, according to the lyrics of 'Baba bolta hain bas ho gaya'. This is a stroke of propagandist genius, because vast sections of the Indian media are so disgraceful that it is tempting to cheer when a finger is pointed at them for anything, even if our disgust for media sensationalism is being used to quietly influence us into viewing a movie star’s misdemeanours, vices, crimes and contemptible qualities with fondness. The latter is played by Vicky Kaushal who is thoroughly convincing as the once innocent, now disillusioned Kapasi. He is particularly wonderful in a drunken scene in which he begs the father to understand the immense pressure his son is under because of the larger-than-life figure he is expected to live up to, and to tell the boy that it is okay to be ordinary. Sonam Kapoor has not much to do in Sanju, but is still sweet as the girlfriend who gives up on Sanju Baba early on, understandably convinced that he will never emerge from the depths of decadence he had already sunk to. Anushka Sharma as Baba’s biographer Winnie Diaz has a decidedly unchallenging role in which her charisma is wasted. Paresh Rawal has the film’s best-written role, but is only okay as Sunil Dutt. A terribly miscast Manisha Koirala is awkward as the barely-there Nargis. 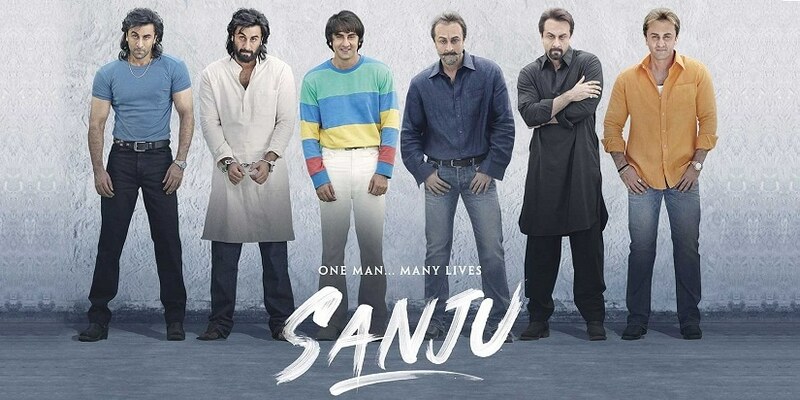 Sanju belongs though to Ranbir Kapoor who drowns out his own personality so completely in favour of the Baba persona, that in that closing song when he appears as himself – slim, handsome and not looking ravaged like his character – I had to remind myself that this is actually what he looks like. Kapoor’s turn as Sanju Baba rises far beyond his physical transformation though. He delivers an immersive performance, especially in scenes of emotional intensity when the script is not using a farcical tone to soft pedal the hero’s life choices. But even this gifted star cannot camouflage the reality of Sanju being little beyond a PR exercise for Sanjay Dutt (and Manyata Dutt).